Antonietta is an extremely driven barrister and has a particular versatile ability to deal with difficult, demanding and / or vulnerable clients, or cases that are sensitive in nature. 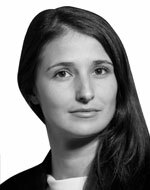 Antonietta has been recognised as Leading Junior, in the field of Property Law, for four consecutive years, describing her as a feisty, excellent and stalwart advocate, and always prepared. Antonietta specialises in all property related matters, ranging from housing, boundary disputes, adverse possession, easements and restrictive covenants, landlord and tenant (both commercial and residential) and more. Antonietta has successfully seen her cases through to judicial review hearings in the Administrative Court and in the Court of Appeal. She also appears in First-tier Tribunal – Property Chamber.